Beginning September 6, 2018, the process to nominate players for the 42nd Annual McDonald’s All American® High School Basketball Games gets underway. The 2019 McDonald’s All American Games will be played on Wednesday, March 27, 2019. The location of the 2019 Games will be announced in the coming weeks. The player nomination process marks the start of the selection of the country’s top 24 boys and 24 girls high school basketball players, with final teams being named in January 2019. The nomination period is open September 6, 2018 – December 1, 2018. 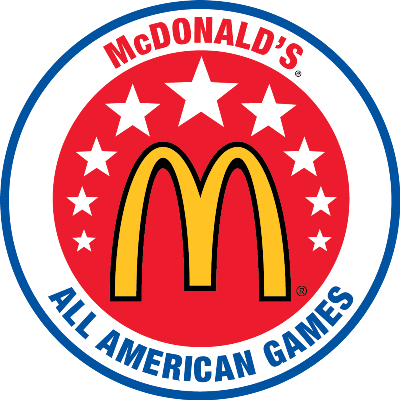 Each student-athlete who is nominated and is in good academic standing will receive a certificate from McDonald’s acknowledging their nomination for the 2019 McDonald’s All American Games. This certificate will be sent to the high school that the candidate attends. Some local McDonald’s Owner/Operator will contact the school administration to arrange a date to formally present the certificate to the athlete. The login code is: AAG$19! Finally, as you may know, the primary goal of the McDonald’s All American Games is to raise funds for Ronald McDonald House Charities® (RMHC ® ). Since their inception, the Games have benefitted RMHC through its network of local Chapters. At RMHC, programs like the Ronald McDonald House and Ronald McDonald Family Room provide comfort and compassion to families with sick children so they are fully supported and able to be a part of their children’s care. For more information about the McDonald’s All American Games, please visit www.mcdaag.com or follow us on Twitter @McDAAG. Thank you for your continued support of the McDonald’s All American Games. Please feel free to contact me if you have any questions.